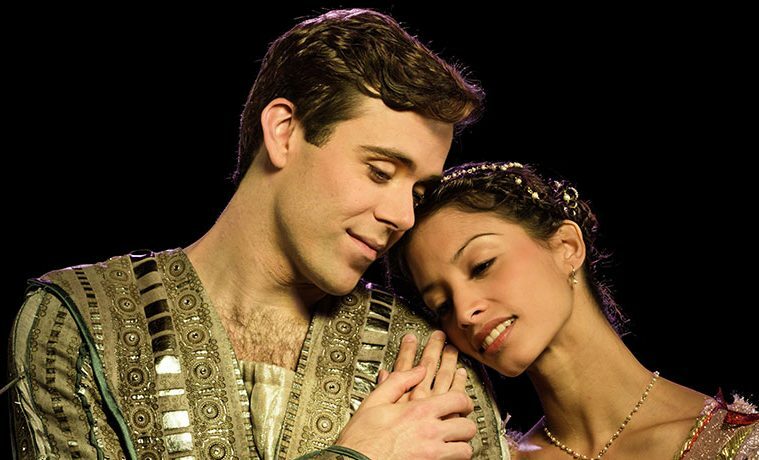 IMAGE: Connor Walsh and Karina Gonzalez in the Houston Ballet production of Stanton Welch’s Romeo and Juliet. Photo by Amitava Sarkar. Ballet Austin Artistic Director Stephen Mills and Assistant Artistic Director Michelle Martin rehearsing Belle Redux / A Tale of Beauty and the Beast. Photo courtesy of Ballet Austin. 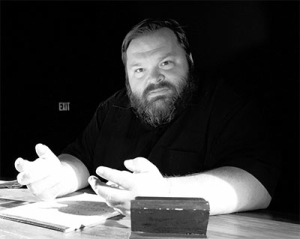 Mike Daisey. Photo by Ursa Waz, courtesy of AT&T Performing Arts Center. HOUSTON- With Ars Lyrica, Mercury, Houston Early Music and the Bach Society all located in the Bayou City, it’s no secret that Houston is an early music hub. The Houston Early Music Festival kicks off on Feb. 12 with the Piping Rock Singers in an evening of fun, food and music. Next up is Mercury in Handel’s Water Music on Feb. 13, followed by Ars Lyrica’s Love Letters on Feb. 14. “Love Letters includes some of my favorite vocal music of all time: Monteverdi’s chamber duets, which are by turns sensual, bawdy, and over-the-top in their emotional display,” says Matthew Dirst, Ars Lyrica’s artistic director. “We’re pairing Monteverdi with a couple of big ‘display’ pieces—solo cantatas by Vivaldi and Domenico Scarlatti for countertenor John Holiday and mezzo Ellie Jarrett Shattles, respectively—and some early Italian sonatas that should rock the house.” Ciaramella, presented by Houston Early Music, and the Bach Society with music by Bach, Vivaldi, Geminiani, and Handel, on Feb. 15, close the festival. SAN ANTONIO- SOLI Chamber Ensemble is in collaboration mode with their next show DANCE: Metamorphosis on Feb. 16 at Tobin Center for the Performing Arts, Carlos Alvarez Studio and Feb. 17, at Ruth Taylor Recital Hall, Trinity University. The program will be part of San Antonio Symphony’s City-Wide Strauss Festival. “SOLI once again joins collaborative forces with Ballet San Antonio to create a transformative evening of dance and music with DANCE metamorphosis,” says Ertan Torgul, Violinist, Artistic/Managing Director SOLI Chamber Ensemble. SOLI will premiere a new realization of the Strauss classic Metamorphosen, with choreography by Ballet San Antonio’s Artistic Director, Gabriel Zertuche. Works by Phillip Glass, Alexandra Gardner, John Kameel Farah round out the program. Frank Bowling, Africa to Australia, 1971, Acrylic on canvas, Courtesy of Frank Bowling and Hales Gallery, © Frank Bowling photograph by Charles Robinson. HOUSTON- Houston collaborative Suplex’s current show, Public Communication: Performing Knowledge of the Body on view at Houston’s BLUEOrange Gallery through Feb. 27, brings together seven artists whose practices are as diverse as their backgrounds, to present works that explore the issues and boundaries of the body and endeavor to move outside of its confines. Curated by Max Fields, one of Suplex’s founders, and artist Joe Orangias, the show also explores the use of the body as an object of performance: All the pieces in the exhibition are the products of performative acts, metonymic remainders of the intimate acts performed by the artists in the past, presented here in the form of videos and photographs. 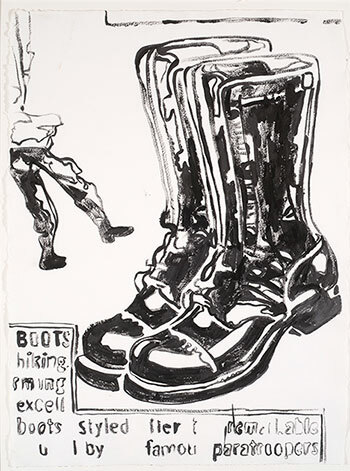 Andy Warhol, Untitled (Boots), 1986. Acrylic on paper. Promised gift of Lesley Wenger and Bob Anderson. © Andy Warhol Foundation for the Visual Arts/Artists Rights Society (ARS), New York. SAN ANTONIO- Last year San Antonio’s McNay Art Museum turned 60. People are in the art world are sentimental and a love of milestones tends to work in the favor of museums who often have limited acquisition funds. Things being as they are 60 turned out to be a great birthday for the McNay with a number of promised gifts and donations coming together to greatly strengthen the McNay’s collection. To honor their donors and celebrate the newest additions, this month the McNay opens Rodin to Warhol: 60th Anniversary Gifts and Recent Acquisitions on Feb. 18. Except everything from, obviously, Rodin to Warhol with special attention paid to the piece’s significance not only to art history, but also to the McNay itself. HOUSTON- There’s no denying the zeitgeist; the aesthetics of dining matter. As food becomes an increasingly central part of all aspects of popular culture, its position in the world of art becomes increasingly hard to contest. Houston Center for Contemporary Craft (HCCC) curatorial fellow Kathryn Hall clearly agrees and has made the art of dining the thesis of Dining and Discourse: A Discussion in Three Courses, a show on view at HCCC Feb. 6 through May 10. For Hall, the show is an opportunity to “move beyond the presentation of the beautifully-set dinner table to spark discussion about the past, present and future of craft.” Yum. 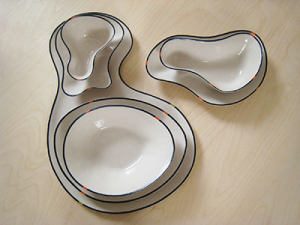 Samuel Chung, Place/Setting, Centerpiece, 2011. Porcelain, China paint. Photo by the artist. AUSTIN- In keeping with its unmatched civic pride, this month Austin is celebrating its reputation as a printmaking center with a celebration of all things print. PrintAustin, now in its 3rd year, is the brainchild of Elvia Perrin and Cathy Savage and every mid-January through mid-February most everyone in Austin gets in on the party. Canopy and in particular Big Medium may be the epicenter of the festivities, playing host to both The Contemporary Print, a juried show of prints (through Feb. 21 at the Gallery at Canopy) and the PrintExpo (Feb. 7), but print-centric shows and events are happening all over the city, from the Harry Ransom Center to Wally Workman to Gallery Shoal Creek. 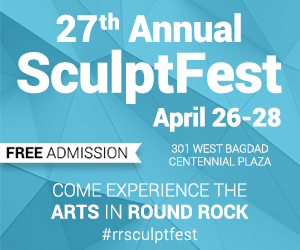 Check PrintAustin.org for a full calendar of events.